Once again, in fiscal year 2010 San Diego residents reduced their water usage by 11% over the previous one-year period, largely because of landscape watering restrictions that were enacted. Could those conservation efforts evaporate as before? That looks like a definite possibility. This past spring Councilmember Donna Frye voiced fear that residents might succumb to a feeling that San Diego’s water supply problems are only due to a temporary drought — that the decent rainy season brings everything back to normal. To counter that mistaken impression, she proposed to make landscape watering restrictions a permanent rule, in particular the limit on how many minutes per day a sprinkler may be operated. Consequently, in the days before the Sept. 8 committee meeting, the so-called “10-minute limit” on sprinkler use was quietly removed from the proposal and the committee was presented with a revised ordinance that asks only that San Diegans limit landscape watering to morning and evening hours of the day, with no limits on quantity (and even that milquetoast restriction was opposed by the contractors). 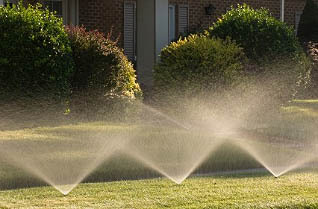 As before, real watering restrictions would require a special drought-level 2 or higher declaration by the City Council. The committee approved the revised proposal and sent it on to the Council. The City Council will soon get to vote on this ordinance that does little more than pay lip service to conservation. Once that passes and the previous watering restrictions are lifted, it will be interesting to see whether public service reminders alone will be enough to prevent consumption from returning to previous levels. For the foreseeable future, the Council will be faced with figuring out how to limit rate increases needed to pay for increasingly expensive imported and desalinated water. From a strategic viewpoint, it’s not reassuring that they can’t even muster the will to mandate conservation which is “the most favorable and least costly option” for addressing San Diego’s tight water situation. This entry was posted on September 16, 2010 at 12:35 am	and is filed under Water, Water conservation. You can follow any responses to this entry through the RSS 2.0 feed. You can leave a response, or trackback from your own site.